Bonjour from a cool South of France. It’s been quite a busy week with a quick trip to Paris for a work training that has me dreaming of the next visit the City of Light. Between a brief afternoon spent wandering the “food hall” at Galeries Lafayette, and furtive glances in pastry-shop windows on my lunch break, I definitely didn’t get enough time in le capitale. But of course, who’s complaining… five extra hours in Paris is still a pretty awesome five hours. Another place I can’t wait to get back to is the Vaucluse, and for today’s post the kind folks at Vaucluse Tourism in Provence are giving us an overview of the best of this splendid region. The Vaucluse is the part of Provence including the Luberon, Mont-Ventoux, Avignon, and the Cotes du Rhône vineyards. 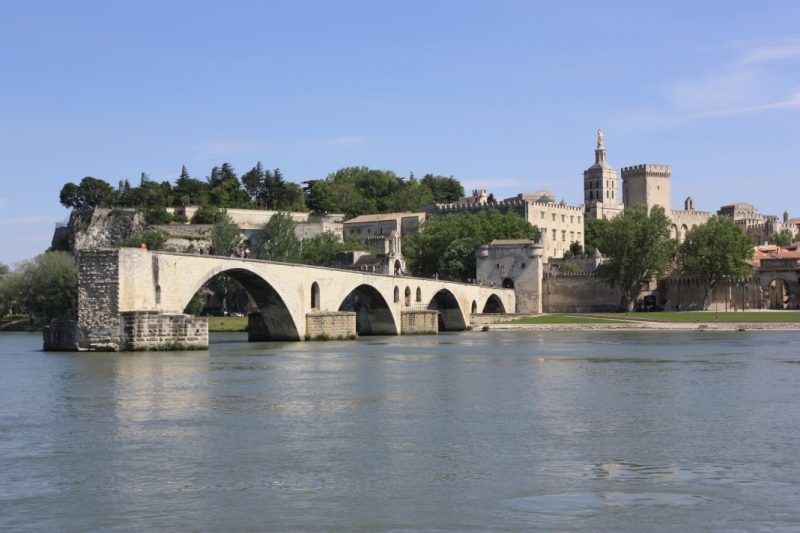 The journey begins in Avignon, the Palace of the Popes and the Pont d’Avignon which made the city famous worldwide – both of them listed by UNESCO as World Heritage sites. Not to be missed: in July, the theatre festival with over 1,000 shows over 3 weeks. 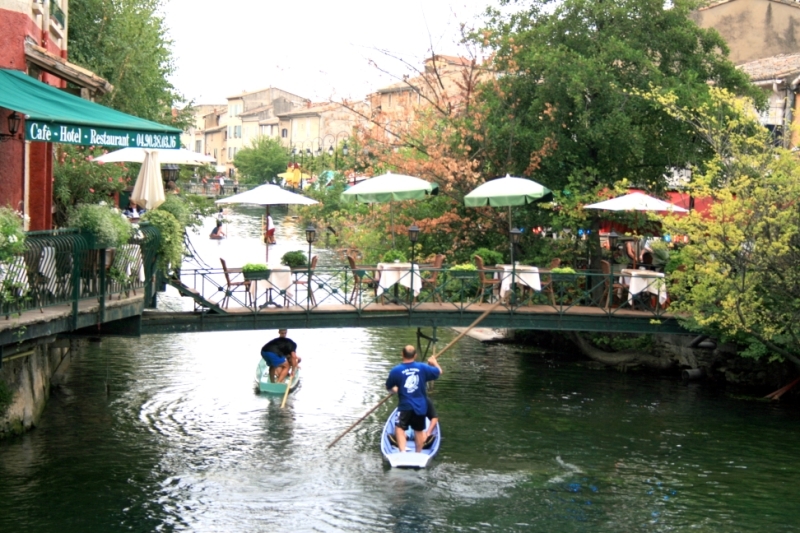 On the way to the Luberon, Isle-sur-la-Sorgue is your next stop: what we call our “Provençal Venice” is also among the top–3 flea & antiques markets in Europe. Not to be missed: the antiques fairs in April and August, the Provençal outdoor market on Sunday morning. 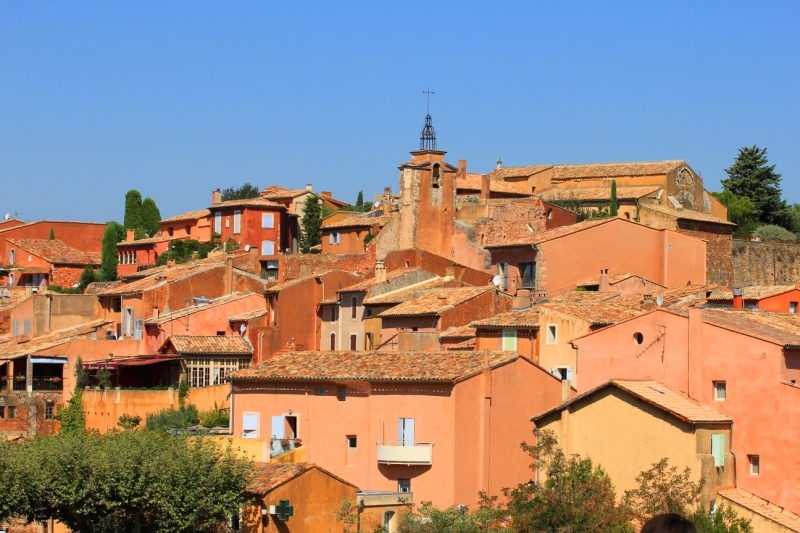 Two of the top destinations in the Luberon are Gordes and Roussillon, both ranked among the Most Beautiful Villages in France. In Gordes, cobblestone streets, dry-stone houses and mansions give the village this charm that makes it the most visited village in the region. 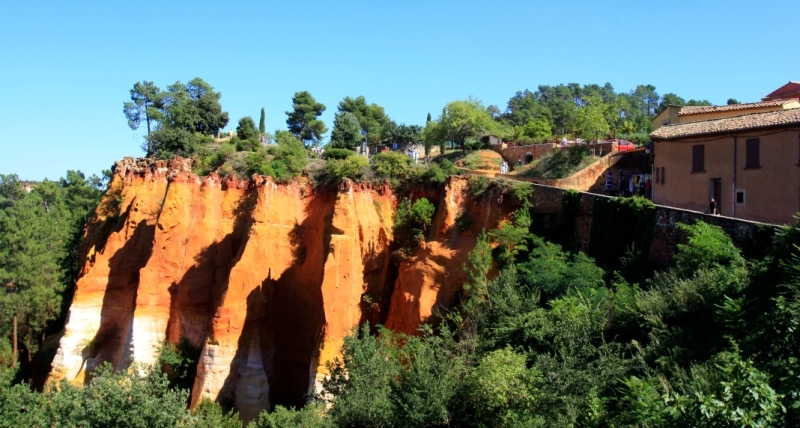 Roussillon is built on top of ochre cliffs. Red and yellow facades draw the décor of the village. Its history is strongly linked to the ochre industry, which was prosperous until the 1950s. Worth a visit: the Applied Pigment and Ochre Conservatory, the walking path within the ochre quarries and the Bruoux ochre mines in the nearby village of Gargas. Next stop: Mont-Ventoux; with its white-top silhouette, it’s one of the symbols of the region. Cyclists challenge themselves to reach the top at least once in their lives; hikers and nature lovers worship the wealth of the fauna and flora that made the Ventoux rewarded and protected by UNESCO as a biosphere reserve. But travelling through the Vaucluse is also a wine journey with 3 wine appellations over the region: AOC Luberon, AOC Ventoux, and AOC Côtes du Rhône, the star of which is Châteauneuf-du-Pape. 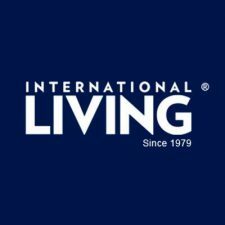 For more information, please visit Vaucluse Tourism in Provence. 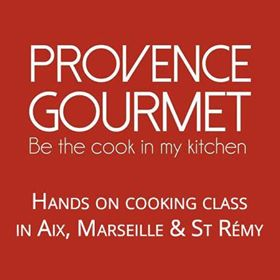 You can also find Vaucluse Tourism on Facebook or follow them on Twitter at @ProvenceGuide. 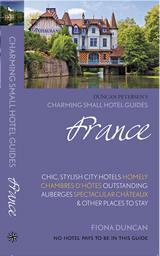 Merci for the terrific guest post & see you soon in the Vaucluse! photo credit: ADT Vaucluse – Alain Hocquel / ADT Vaucluse – JL Zimmermann. We’d love to have you visit us someday soon Krista! We love the Vaucluse and feel fortunate to call that beautiful area home part of the year. You are indeed very lucky Michel… it’s a beautiful corner of Provence. What a beautiful, beautiful place. 🙂 Can’t wait to get back to France again soon!